Organizers said the event is the single largest fundraiser benefiting people with Down syndrome. Denver: Movie stars Jamie Foxx, Hilary Swank and Queen Latifah were among celebrities sharing the catwalk with models with Down syndrome for a fundraiser that brought in $2.1 million for research and medical care. 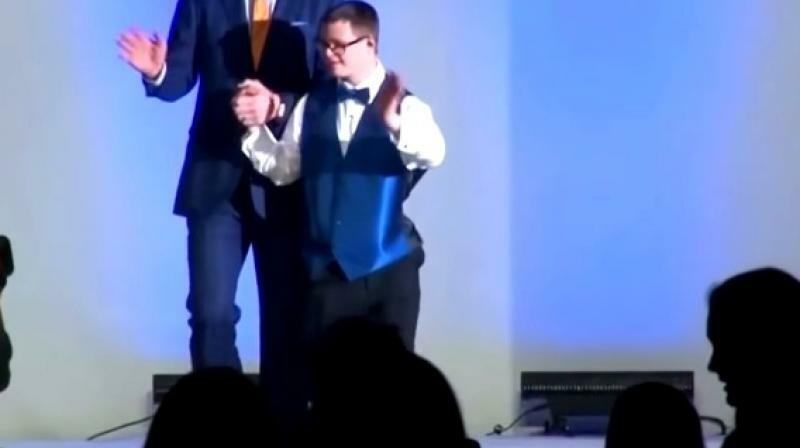 Foxx, whose sister DeOndra Dixon has Down syndrome, said the aim of the "Be Beautiful, Be Yourself" fashion show in Denver, Colorado on Saturday was to "raise more money, raise awareness so we can attack this situation and bring eyes to it."